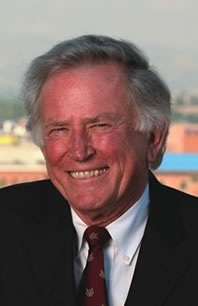 City Club is delighted to announce that Former Senator Gary Hart will join us on January 4th, 2011, to present a provocative evaluation and update of the state of the United States' international relations and national security. Senator Hart's expertise in this area has been developed over his lifetime of public service, which has included membership of the Senate Armed Services Committee, Senate Intelligence Committee, co-chair of President Clinton's U.S. Commission on National Security for the 21st Century (which predicted the events of 9/11). He has most recently presented his views about the threats of terrorism, disease, and global climate change and our national response to them in Under the Eagle's Wing: A National Security Strategy of the United States for 2009. Senator Hart will give City Club a report on our progress towards our national solution to these threats. Senator Hart's presentation will kick-off 2011. During the winter and spring, City Club plans a number of programs relating to world affairs. Senator Hart's insights into issues of international relations and national security will provide the powerful prologue to these programs. Gary Hart is an American politician, lawyer, author and commentator. He holds graduate law and divinity degrees from Yale University and a doctor of philosophy degree from Oxford University. He served as a Democratic Senator representing Colorado from 1975 – 1987, and was a Democratic candidate for President in 1984 and 1988. Since retiring from the Senate, he has emerged as a senior consultant and commentator on national security. He is currently Scholar in Residence at the University of Colorado and Distinguished Fellow at the Center for Strategic and International Studies. He is chair of the Threat Reduction Advisory Council at the Department of Defense, was vice-chair of the Secretary of Homeland Security’s Advisory Council, former chair of the Council for a Livable World, chair of the American Security Project, and co-chair of the US-Russia Commission. Copies of the Senator’s most recent book, Under the Eagle’s Wing, will be available for purchase and signing.